AUCKLAND, NEW ZEALAND and COLUMBIA, SOUTH CAROLINA and MADRID, SPAIN, 2016-Dec-21 — /EPR Network/ — Luigi Wewege’s latest book, The Digital Banking Revolution, shares his inside perspective on how financial technology companies are rapidly transforming the traditional retail banking industry through disruptive innovation. In The Digital Banking Revolution, Wewege provides a look at how over the past decade financial service innovations have contributed to a completely new way in which customers are able to bank, threatening the status quo of traditional retail banks, and redefining a banking model which has been in place for generations. Luigi’s book presents the ways these new technological advancements have facilitated the rapid emergence of digital banking firms and FinTech companies, leading to established banks being forced to swiftly increase their pace of digital adoption to stay relevant, and stop mass client attrition to these agile financial start-ups. “These threats come at an inopportune time for banks due to mature markets currently experiencing stagnant growth. This coupled with decreasing profit margins due to the competitive pricing of new entrants, and financial customer loyalty becoming ever increasingly more tenuous,” said Wewege. Supported by numerous illustrations, the book spans a diverse range of topics from big data analytics and mobile payments to the evolving behaviors of financial consumers. The Digital Banking Revolution concludes with Luigi providing his predictions in the book’s final chapter, which is titled The Future of Banking. In this chapter, he outlines how he believes financial services are likely to evolve, and be conducted going forward. The book is currently available for purchase online at Amazon.com in Kindle and paperback versions, as well as being offered via a number of other major online booksellers. 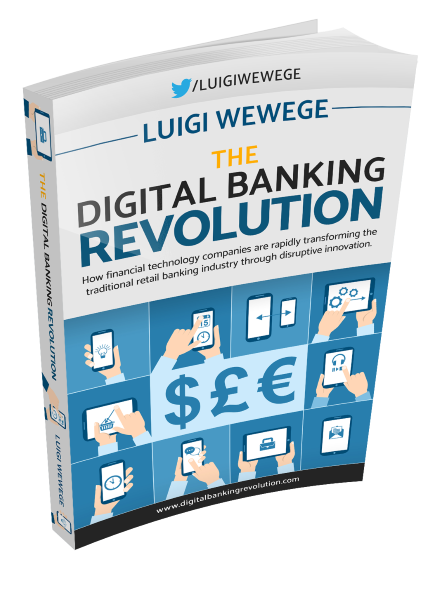 To learn more about the author – Luigi Wewege and his new book, The Digital Banking Revolution, please visit: www.digitalbankingrevolution.com. Luigi is the President and CEO of Vivier Group, a multinational financial group of companies, providing its services worldwide through representation in jurisdictions across Africa, Asia, Oceania, Europe and South America. Outside of Vivier he serves as the Non-executive Chairman of Nikau Global an international trade and development firm, as Partner/Director of Palmetto Global Ventures a bespoke financial management consultancy firm, and is an invited member of Boston, Massachusetts based non-profit the Young Entrepreneur Council. For more information, about Luigi please visit: http://www.luigiwewege.com or alternatively reach him via Twitter @luigiwewege.